RAE KJOLE I ØKOLOGISK BOMULL, EN SØT SOMMERKJOLE MED FLATTERENDE VERTIKALE STRIPER I KORALLFARGER. 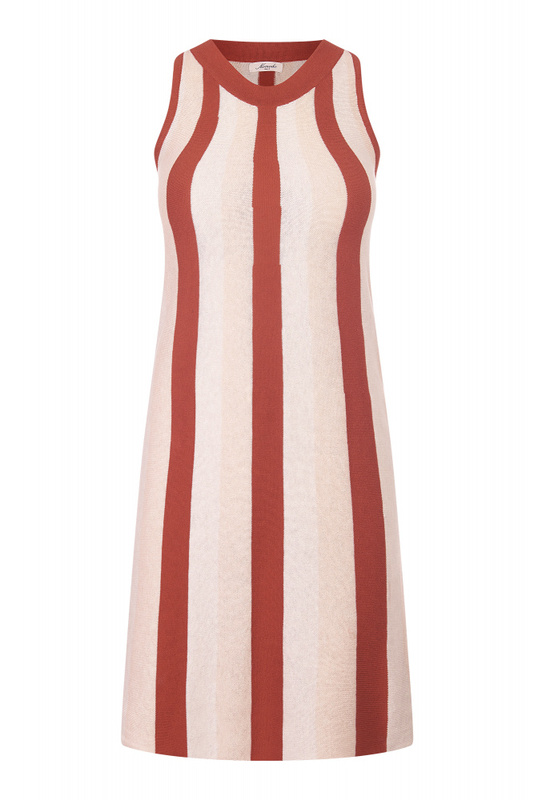 There's nothing more timeless than bold stripes with our RAE dress. The 100% Organic Cotton length dress cutting just above the knee, with powerful vertical stripes will make any outfit a statement. Contrasting halter neckline for a clean finish. Komodo recommends Wear your RAE dress with flat or heeled sandals, and it will take you from the beach to dinner with a view.